The majority of column members are non-dissipative, because the intended global dissipative mechanisms of structures involve as little energy dissipation in columns as possible. For this reason, only their elastic response needs to be assured, which is done essentially by complying to Eurocode 4. There are, however, differences between a standard design to Eurocode 4 and the earthquake context. A second difference is due to the uncertainties in the evaluation of earthquake action effects, which are covered by a specific requirement on the dimensions of fully encased columns: they should not be less than 250 mm (as stated in clause 7.6.1(8)). 8 In a frame with concentric bracings, columns are capacity designed to the strength of the diagonals. In the columns of braced frames, axial forces are more significant than bending moments; their response should be elastic. 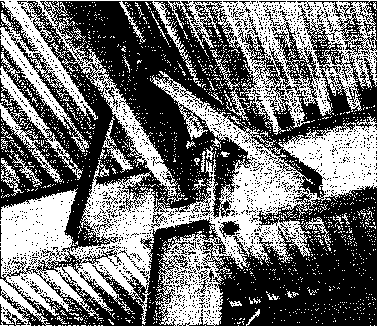 It must be assured that the axial force in composite columns is shared between the concrete parts and the steel parts, in particular in zones where the column axial force is highest; this is the case at floor levels where bracing members and beams are connected to the columns. The bond demand in those places is high and strength may easily be insufficient if shear connectors are not provided close to the connection of the column to the diagonal. 8 In a moment-resisting frame, columns are capacity designed for beam strength. The composite connection zones in moment-resisting frames have to carry the beam bending moment and shear, and distribute it between the steel and concrete of the column. Clause 7.5.4(10) on composite connections provides guidance on how the beam shear has to be distributed to the components of the column. Some shear connectors may be required close to the beam-column connection. For filled columns, shear transfer can be achieved through the connection detail in the interior of the column. It should be noted that clause 7.6.1(12) allows a column without shear connectors to be designed as composite, whenever the seismic action effects are not too high. Note that in moment-resisting frames with filled columns, it has been shown that the global response does not vary significantly with the stiffness or strength of the shear connection achieved through bond and friction. This may be due to the fact that in filled columns, compatibility of deformations of steel and concrete is achieved by stresses perpendicular to the interface between steel and concrete, and friction is always ensured where interface stresses are compressive. This cannot be the case in open sections, such as H or I. All the design requirement for non-dissipative composite columns given above are also valid for dissipative columns, in addition to the specific criteria discussed in the following section.